Prepaid international phone card for cheap calls within the USA and to international destinations, especially to european countries with low calling rates. Toll Free Access. No connection fee. 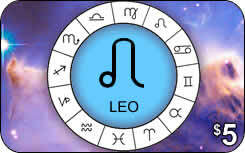 Buy Leo Prepaid International Phone Cards Online. We offer a great selection of cheap international phone cards for international and domestic long distance phone calls. Using our prepaid phone cards you can make cheap long distance, international and overseas phone calls to destinations around the globe. Cards provide low calling rates.